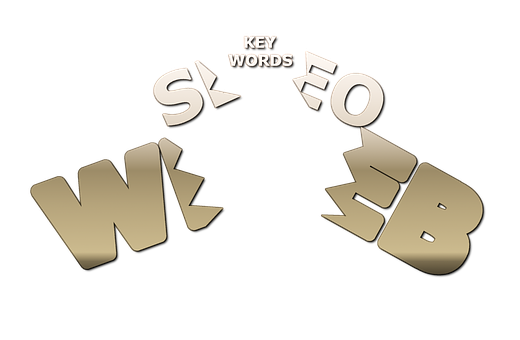 Now you need to find out how competitive your desired keywords are. Armed with an understanding of how competitive your desired keywords are, you can discover keywords your site can realistically achieve rankings for in Google. Let’s say you are a second-hand bookseller and you want to target “book store online”. It's unlikely you are going to beat Amazon and Barnes and Noble. But, maybe there’s a gem hiding in your list very few people are targeting—maybe something like “antique book stores online”. You have the advantage if your competitors haven't thought of targeting your keyword. You simply have to do better SEO than they are doing and you have a really good chance at beating their rankings. You need a way to wash this list and separate the ridiculously competitive keywords from the easy keywords no one has thought of. There are many schools of thought on how to do this. The most popular competitive research practices are listed below, with my thoughts on each. 1. Manually going through the list, looking at the rankings, and checking if low-quality pages are appearing in the top results. This is good for a quick glance to see how competitive a market is. However, it is unreliable and you need to supplement it with real data. 2. Look at how many search engine results are coming up in Google for your keyword. The amount of results is listed just below the search box after you type in your keyword. This tactic is common in cheap online courses teaching SEO, but completely unreliable. This is my least favorite strategy. The reason? There may be a very low amount of competing pages for a particular keyword, but the sites ranked at the top of the results could be unbeatable. 3. Using the competition score from the Google AdWords Keyword Research tool. Don't be tempted. This is a common tool, lauded on the Internet as an easy way to judge SEO competitiveness for keywords, and it just simply doesn't work! The competition score included in the Google AdWords Keyword Research tool is intended for AdWords only. It is an indication of how many advertisers are competing for the particular keyword through paid advertising. Completely irrelevant for SEO. 4. Using a competitive analysis tool, such as Moz’s Keyword Difficulty tool. To get a realistic idea of your chances of ranking high for a particular keyword, you need to understand the strength of the pages in the top 10. A great tool for this is Moz’s Keyword Difficulty tool. With Moz’s Keyword Difficulty tool, you can simply enter your keyword into their tool, click “check difficulty”, and then click “view serp analysis reports” and it will show vital stats for pages appearing in the top 10. Of these stats, the most important are # root domains linking to the page, and # root domains linking to the root domain. These two stats tell you how many unique sites are pointing to the specific page ranking, and how many unique sites are linking to anywhere in the site in general. Next up, if you enter your own website into Moz’s Open Site Explorer tool, you can see these same stats for your site, and then know how many links you need to beat the competition. Armed with this knowledge, you can hunt around to find easy keywords with weak competition, and set targets for how many links you need for a top listing. trial. There are not many alternative keyword tools out there providing a decent level of accuracy in my experience, however, another tool I have found useful is Market Samurai, which offers similar reports to Moz.